I plan to speak at a couple of conferences this year – first in the line will be the Open Source Data Center conference in Nuremberg. 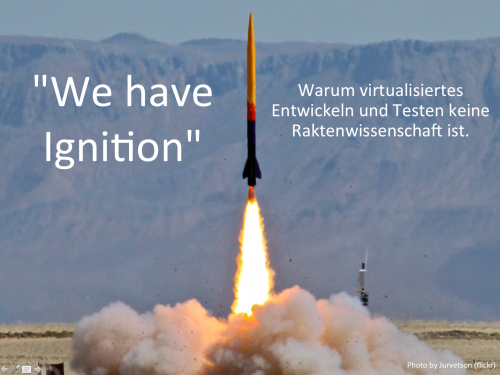 The topic I will be talking about (in german though) is our fully virtualized data center testing environment at Rakuten Germany. When you want to change things from “testing in production” to “testing in a test environment” it’s usually a very hard way to go. In this case we chose the way to virtualize whatever service was in the datacenter, with all the same configurations and even network settings. We called that “Ignition” and it allows us to test almost any aspect of our production environment without interfereing with it. My talk will cover the thoughts and technologies behind that. I also want to stress the fact that there are a lot more interesting talks than mine. Go to the OSDC 2013 homepage and find out for yourself.